“Want to get an abandoned car towed away quickly? 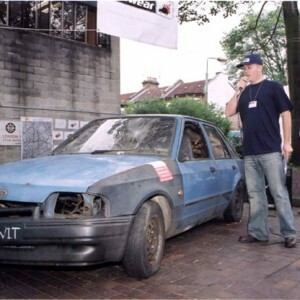 Then turn it into an art installation and wait for bosses at Hackney council to do the job three days early, ruining your exhibition in the process. 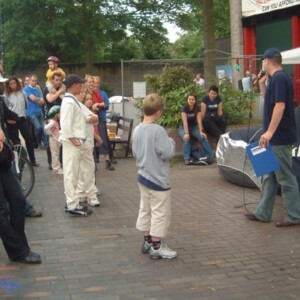 That is what happened to a group of artists who wanted to help educate the public about the growing number of wrecks being deposited on the country’s streets as a result of rising recycling costs and the falling value of scrap metal. 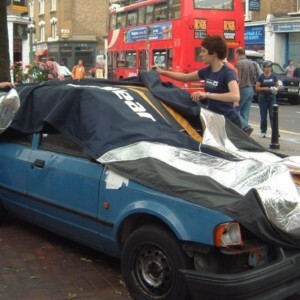 Rekwear is a project that aims to explore the growing problem of burnt-out and abandoned cars that decorate the streets of Hackney and beyond. 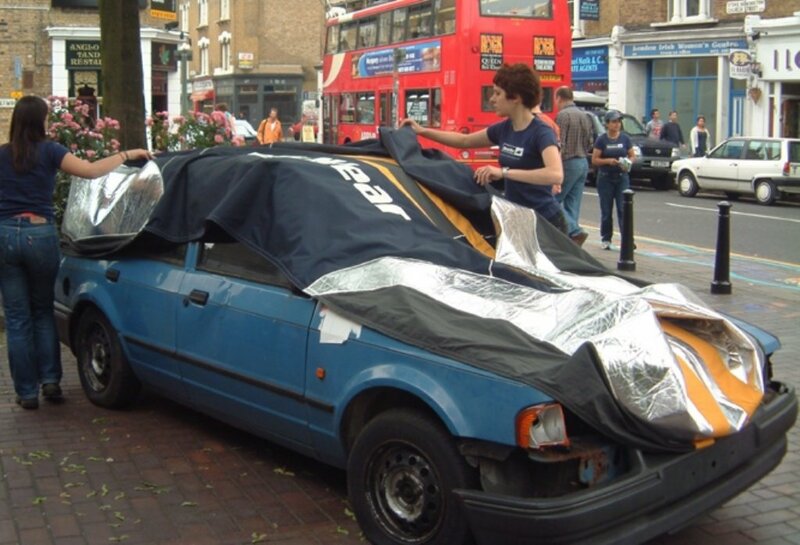 Reflecting on today’s materialistic instincts, artists Maf’j Alvarez and Tanya Meditzky are using a humorous approach to discourage people from dumping cars. 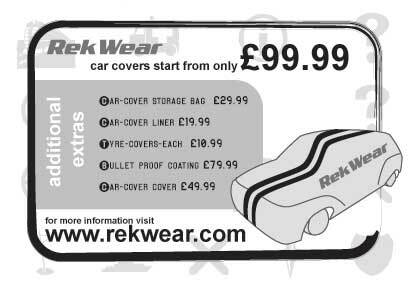 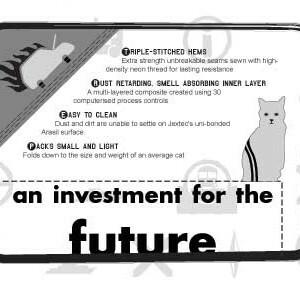 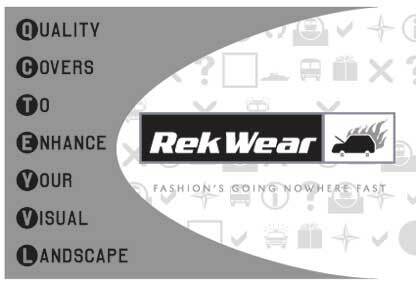 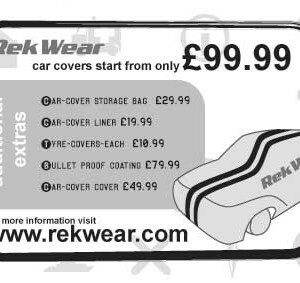 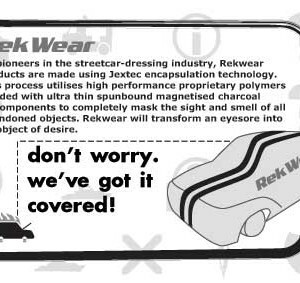 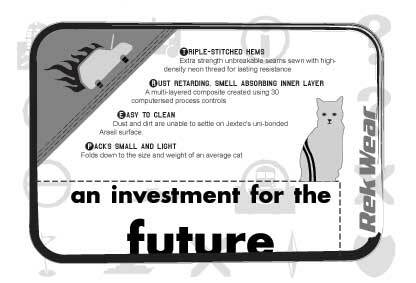 They have set up a spoof company called RekWear which creates designer car-covers to turn old cars into safe and desirable items of street furniture. 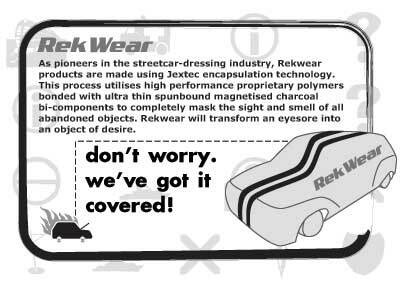 Sunday the 16th June will see the bogus company demonstrating its range at the Stoke Newington Festival in Hackney, East London. 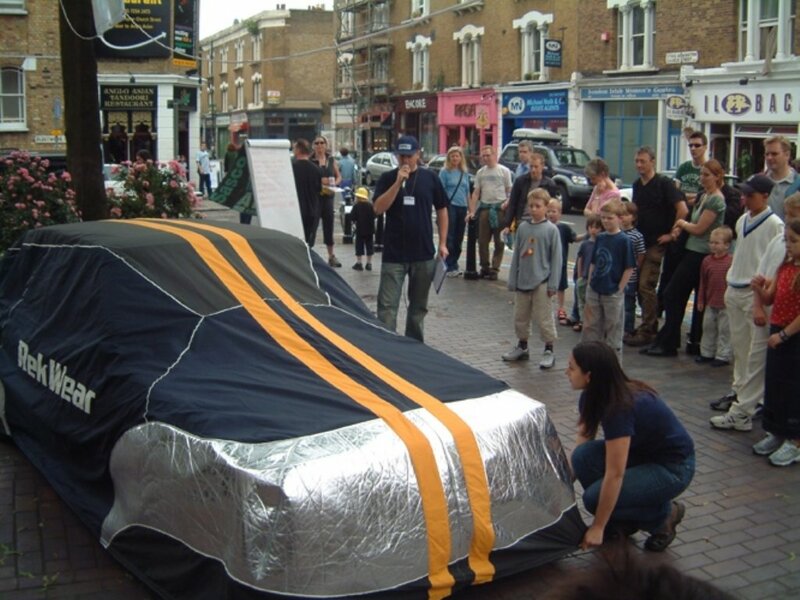 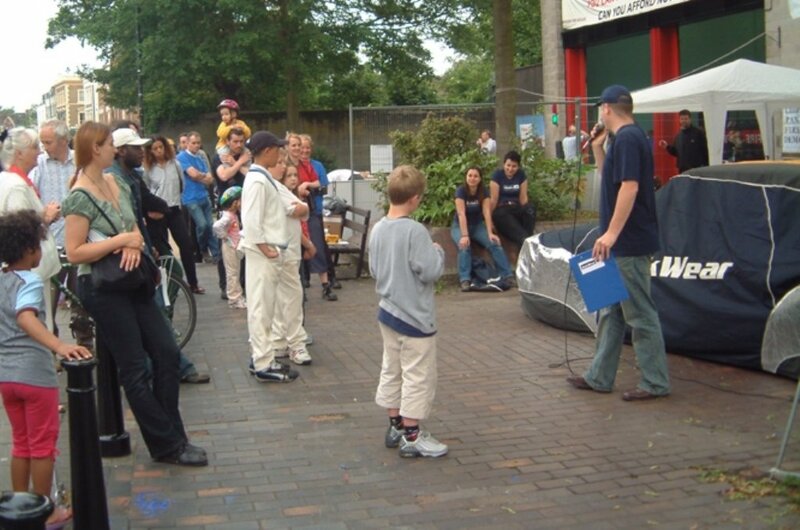 Situated aptly on the forecourt of Stoke Newington’s fire-station, the Rekwear demonstration illustrates the real hazards produced by newly burnt cars, and asks whose problem this really is. 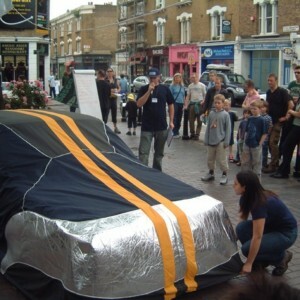 An education programme is planned to accompany the project, with school children being encouraged to design their own car covers and to map out the wrecks in their own neighbourhoods. 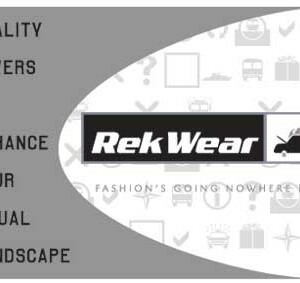 See the results at www.rekwear.com from mid-june.